Simple gestures and natural products, cuddles for face, caresses for body, kisses for hair… kids’ skin needs special attentions. For that, fully respecting our children and our earth, ABiCì line was conceived. 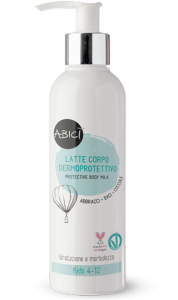 ABiCì line was developed to gift our children with gentle products, deprived from aggressive chemical ingredients and suitable for their skin. 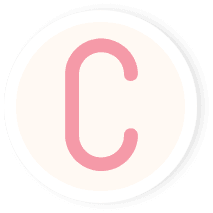 Conceived as a unique pampering experience for the youngest to share with those who take care of them, it will always remain in their memories. 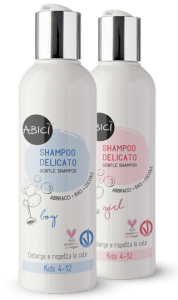 A wide range of products to pamper children’s body, ABiCì line includes: shampoo, conditioner, body wash, body milk, micellar water, face cream, intimate cleanser, scented waters. 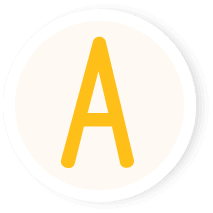 ABC is learned as young kids and it is the beginning of everything: the first approach to the learning process, the first step towards one’s own future. 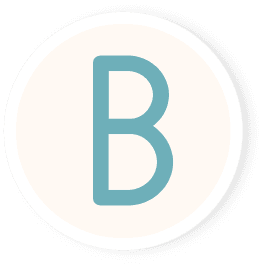 ABiCì is a line conceived for children’s delicate skin, suitable for their needs and the different stages of their growing process, while teaching them to take care about themselves in a natural and sustainable way. 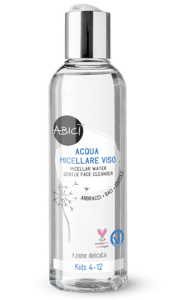 ABiCì products, enriched with a high concentration of botanical extracts, are formulated in Italy and contain only high-quality and clinically tested ingredients. Formulated with plant extracts with gentle cleansing properties, it helps to protect kids’ skin’s natural hydrolipidic ratio and physiological pH. Ideal for use after sports or for everyday use. Micellar Water gently removes impurities without damaging the skin’s natural hydrolipidic barrier. Ideal for daily cleansing and to remove face paint. Formulated to protect the delicate structure of children’s hair. Its soft and light foam gently cleanses hair, leaving it feeling silky, clean and delicately fragranced. Perfect for frequent washing or use after swimming or sports. Enriched with selected plant oils, extracts and butters (shea, macadamia, chamomile and aloe vera), known for their moisturizing, nourishing and elasticising properties. Ideal for use after washing. The new ABiCì skincare line, formulated with a high concentration of botanical ingredients, was fully conceived and developed by researchers in the cosmetic field within the prestigious University of Siena, Italy. It does not contain PEG and PGG derivatives, sodium lauryl sulfate, sodium laureth sulfate, petrolatum, silicones and parabens. Being friendly to the human being, the environment and nature is the philosophy that inspired the creation of all ABiCì products. A rigorous choice which gives as a result an ethical production process, from ecofriendly formulations to sustainable packaging. All ABiCì products are VeganOK and Peta certified, as a guarantee of the respect towards people, animals and the environment. Sustainability and ecofriendliness are not only words “in fashion”, but operational concepts which inspired the whole creation of ABiCì.